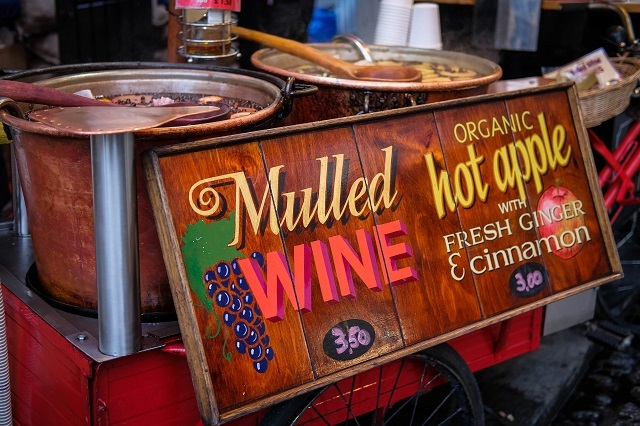 We like to visit Bath Christmas Market every year, a hustle and bustle of festive gifts, food and much mulled wine. Lights twinkling and Christmas music playing, it's a lovely place to get you into the festive spirit. This year the dogs came along with Sam and I, deciding to visit early in the day so it wasn't too busy for them. 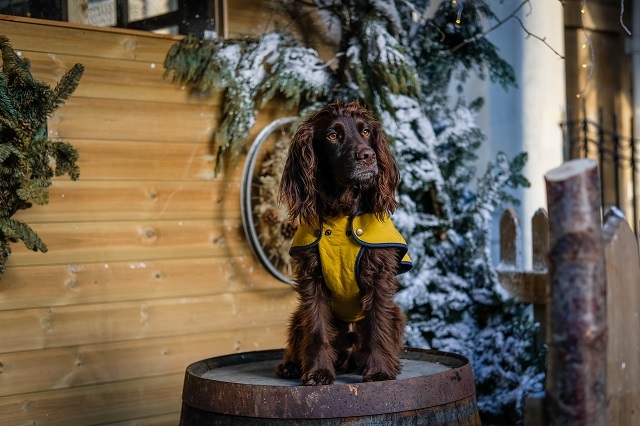 Of course Sev and Lily loved it, getting fusses at almost every stall and even being allowed in "The Lodge" to join us for mulled cider and a snuggle in the cosy cabin. 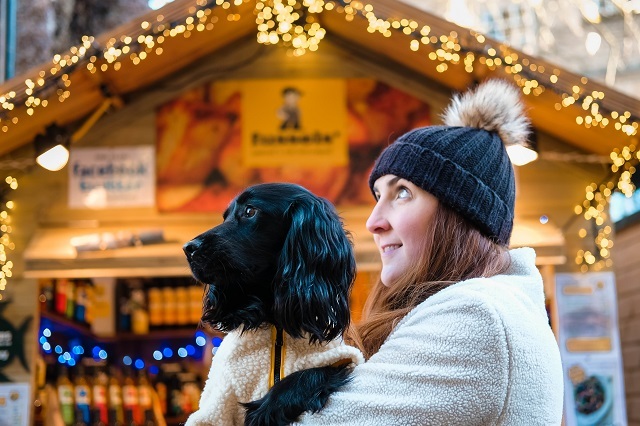 A stunning City all year round, but when the Christmas Market is on, it feels with joy and happiness of the festive season. 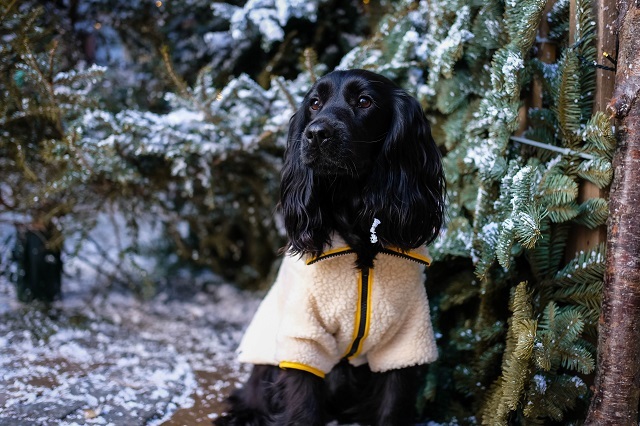 Wrapping up warm, and the dogs in coats, we all bundled up and took to the cobbled streets to wander around the many independent stalls. Selling sweet treats, Christmas gifts and everything in between. 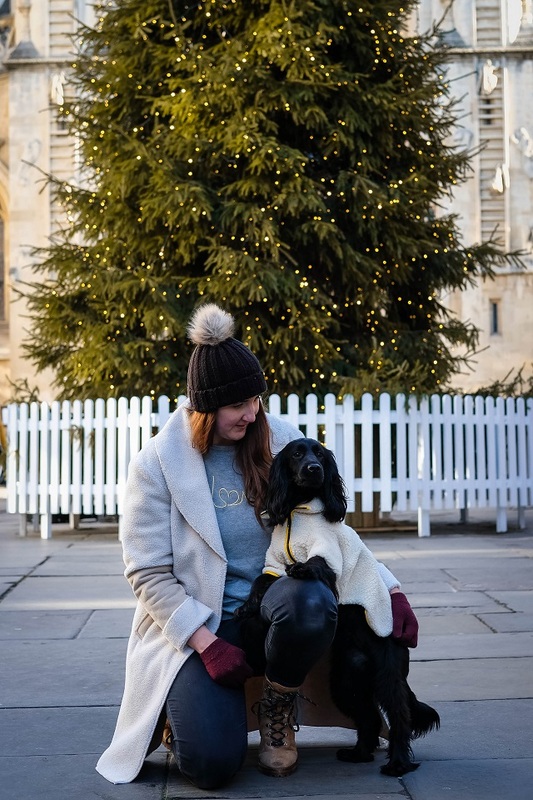 At Bath Christmas Market I decided to twin with Lily, after we bought her the Fetch & Follow Sherpa Fleece as a Birthday present. Not wanting to be outdone by the trendy spaniels, New Look just so happened to have something similar for Humans. 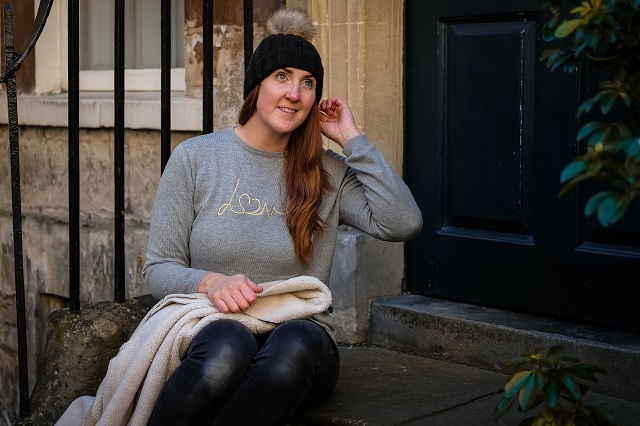 Snuggling up even more in the Sugarhill Boutique "Love" jumper, which is so easy to put on and look amazing. 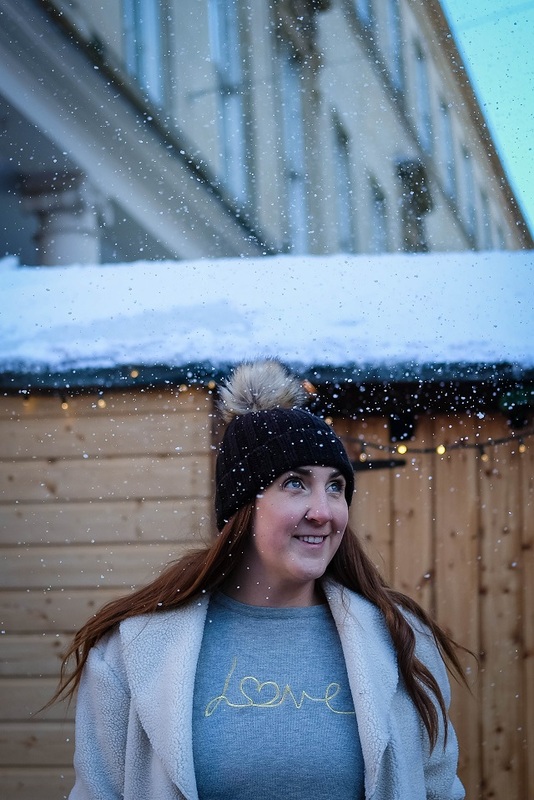 An easy casual outfit, that looks cute when wanting to keep warm in the chilly Winter weather. Truly having my best life when I match with the dogs, Sev and Lily got so many comments on how warm and cosy they looked. 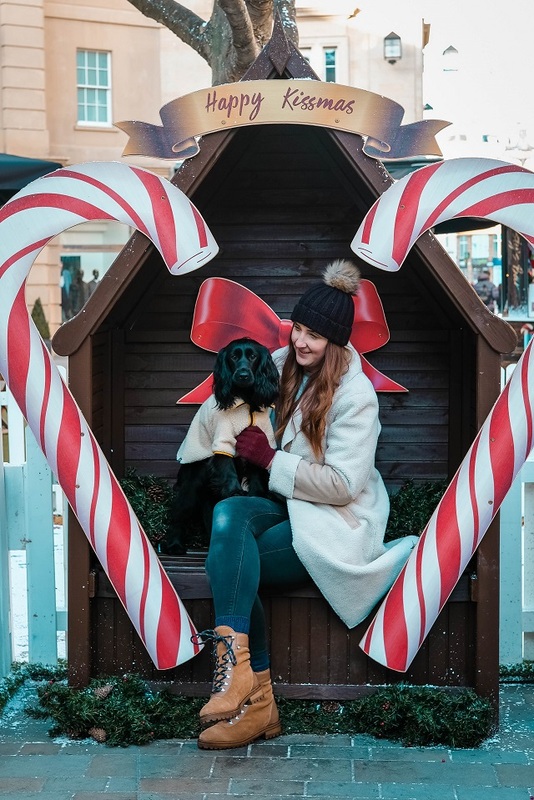 Always having the best time when I with my fur family, wandering through the stalls and stopping to take photos of the dogs among the sparkling lights and Christmas decorations. 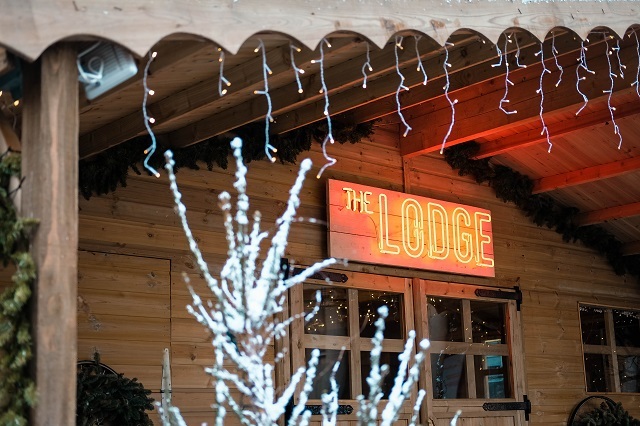 All shopped out, we soon made our way to The Lodge, a little bar with a true ski feel, fluffy rugs, cosy blankets and mulled wine to warm us up. 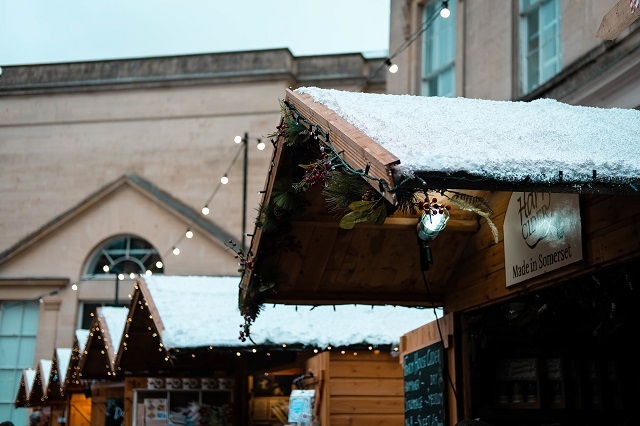 Bath Christmas Market certainly got us in the festive spirit, even more so now our [massive] tree is up and decorations are looking pretty all around the house. Hello Christmas....we're very much ready for you now.